It's that time of year again! For more than two decades, The Simpsons has been celebrating Halloween the best way it knows how; with the special annual "Treehouse of Horror" episode. 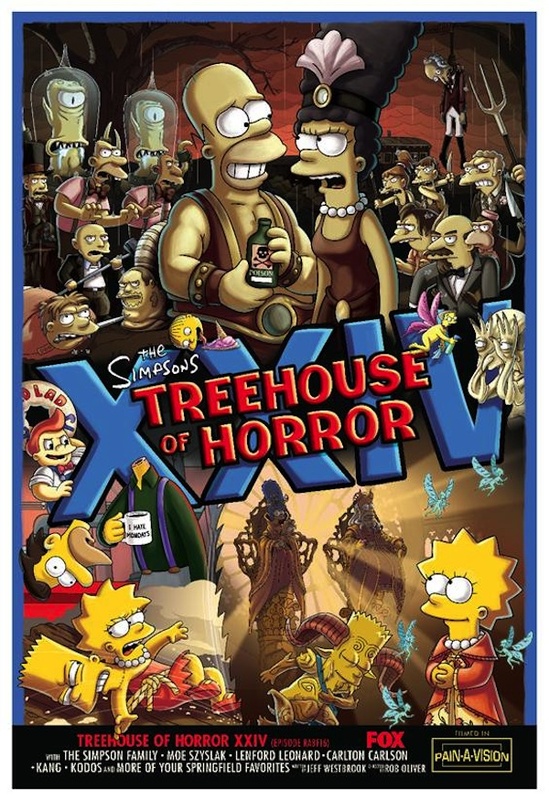 The Simpsons' "Treehouse of Horror XXIV" includes a special couch gag courtesy of horror master Guillermo Del Toro. You can devour every morsel of it in the video above, and be on the lookout for some great horror cameos! And this is just the opening of the episode! Imagine what the actual episode will include. That's the fun thing about "Treehouse of Horror." 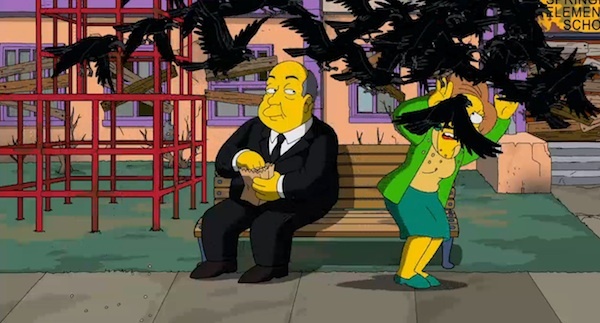 It's an anything-goes episode of The Simpsons where things often take the strangest and darkest turns imaginable. Here's Fox's official description for this season's installment, which airs this Sunday night (October 6 at 8/7c on Fox). Director, screenwriter, producer and novelist Guillermo del Toro (“Pacific Rim,” “Pan’s Labyrinth”) resurrects some historic Halloween goblins and ghouls in THE SIMPSONS’ opening couch gag on this season’s terrifyingly hilarious “Treehouse of Horror XXIV,” airing Sunday, Oct. 6(8:00-8:30 PM ET/PT) on FOX. 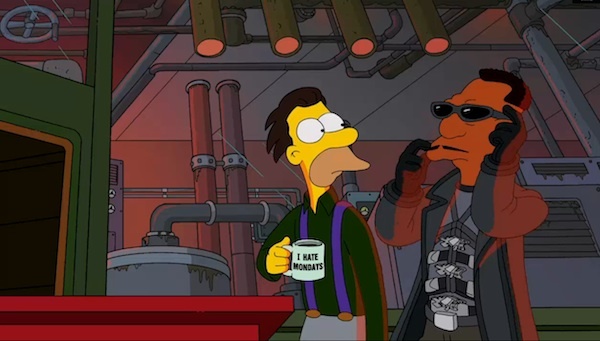 In the couch gag opener, director del Toro throws the crypt wide open with a sequence that features monsters and classic characters from horror films throughout history. Then, in the first of three spine-tingling tales in the annual “Treehouse of Horror” episode, Homer travels around Springfield wreaking havoc in a rhyming take on a popular children’s tale. In “Dead and Shoulders” Bart is beheaded during a kite accident, his head is attached to Lisa’s body and they must live together as one. 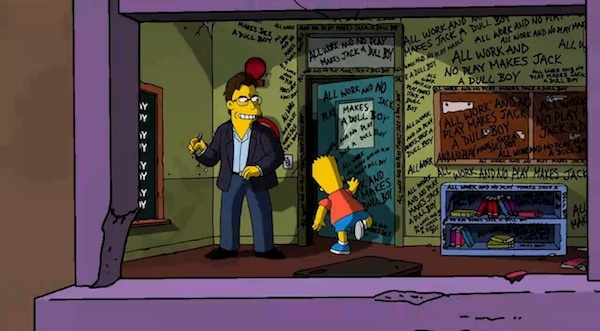 The final frightening tale, “Freaks no Geeks,” features Mr. Burns’ traveling circus, The Burnsum and Bailey Circus, which has stopped in Springfieldland in the 1930s. Trapeze artist Marge and Strong Man Homer are performers, and things go awry when circus freak Moe starts to make advances towards Marge. And if you missed it last week, check out the Homeland-inspired couch gag here.